Probability Theory is a branch of mathematics in which we learn how much the chance that an event will occur in an experiment i.e, it tells you how likely something is to occur. This doesn’t mean that an event is guaranteed to happen, sometimes it may not be happened or occurred. Just if it is more or less likely to occur. The probability of an event is represented by a number which may be in the form of a whole number or fraction or decimal. It lies between 0 to 1. The probability of an event that is not possible, is zero. The probability of a sure event is one. It is a big subject in which students confuse a lot. Even though it needs simple addition and multiplication in calculations, the sequence of equations is long and confusing. Step 1: The very first step is to identify the experiment and event in that experiment. Step 2: Count the number of possible events i.e a sample space in that experiment. Step 3: Choose which event for which we have to find the probability. 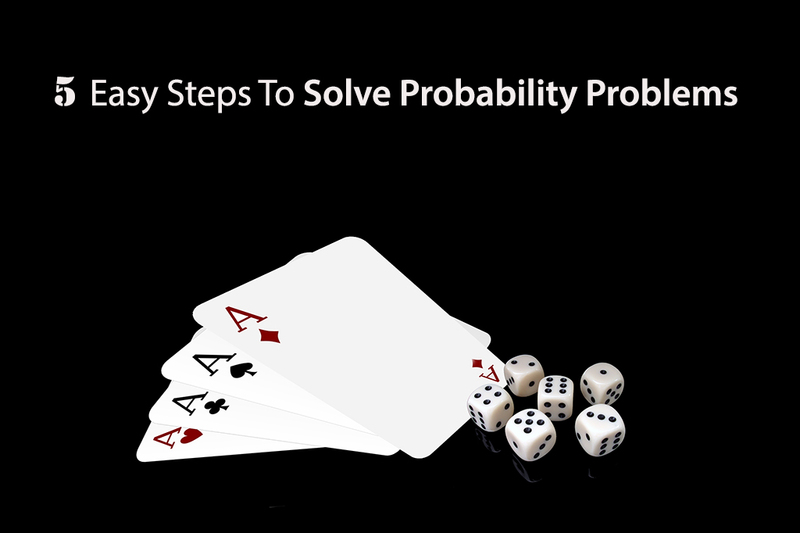 Step 4: Count the number of chances that an event can occur out of the possible events. Step 5: Write the number of chances that event could occur over the number of possible events in a ratio. The coin could land on heads or the coin could land on tails. Q: What Is The Probability of Tails? When you draw a card from a pack, there are 52 events can occur. But when you want to draw a specific card i.e, event only 1 favourable event to occur. Q: What is the Probability of Getting Heart Queen from a Complete Pack of Cards? Let ‘M’ be the event of getting queen heart. P(event) = Number of favourable outcomes/Total number of possible outcomes. Hence, the probability of getting heart queen from the complete deck is 1/52. Previous PostHow To Make A First Good Impression In An Interview?